One of my favorite recipes to materialize from my garden harvest this summer, was this recipe for a chile rellenos casserole from my Better Homes and Gardens cookbook. It’s cheesy, got lots of flavor from the jalapenos, and super easy to throw together. It’s a great dinner side dish, or it would make a wonderful casserole for a brunch. 1) Pre-heat the oven to 450°. Quarter the peppers and remove the seeds, stems and veins. 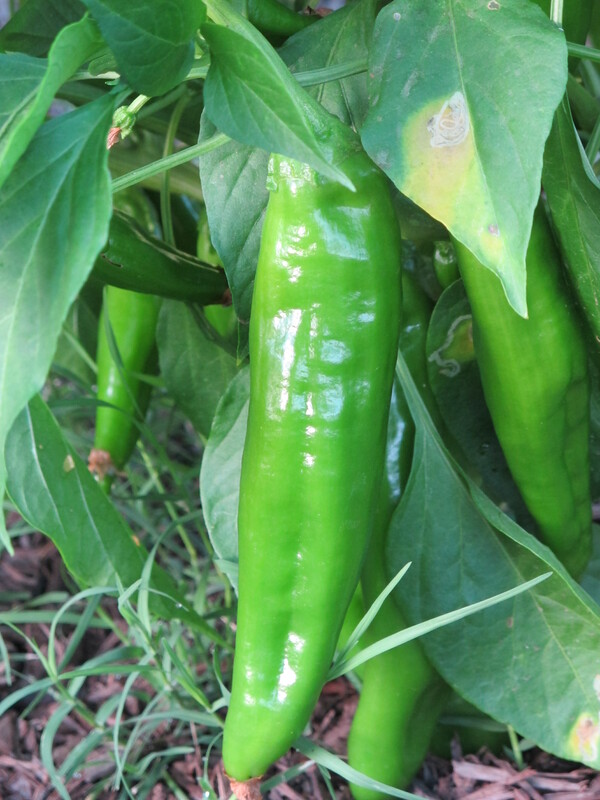 2) Submerge the peppers into boiling water for 3 minutes, and then drain well. Turn them over and pat dry with paper towels. 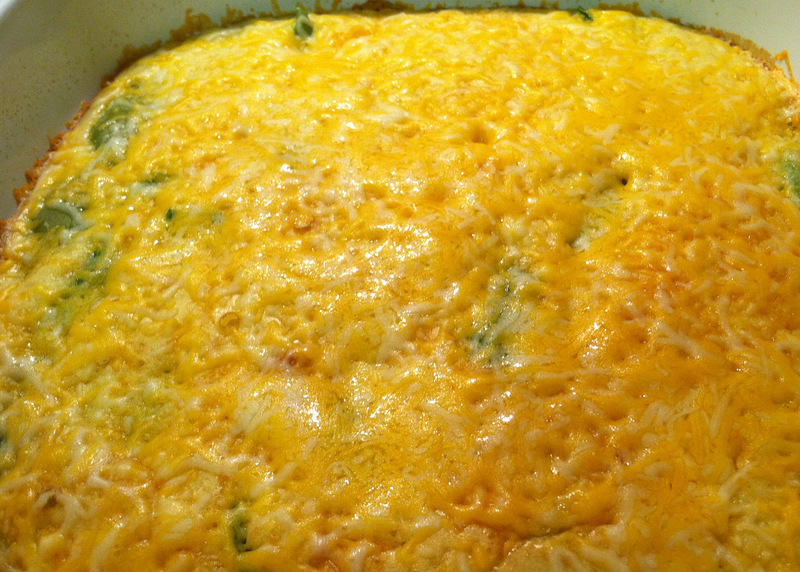 3) Place the peppers in a well-greased 2 quart square baking dish, and top with 1 cup of the cheese. 4) In a medium bowl combine eggs and milk. Add flour, baking powder, cayenne pepper, and salt. 5) Beat until smooth with a rotary beater. 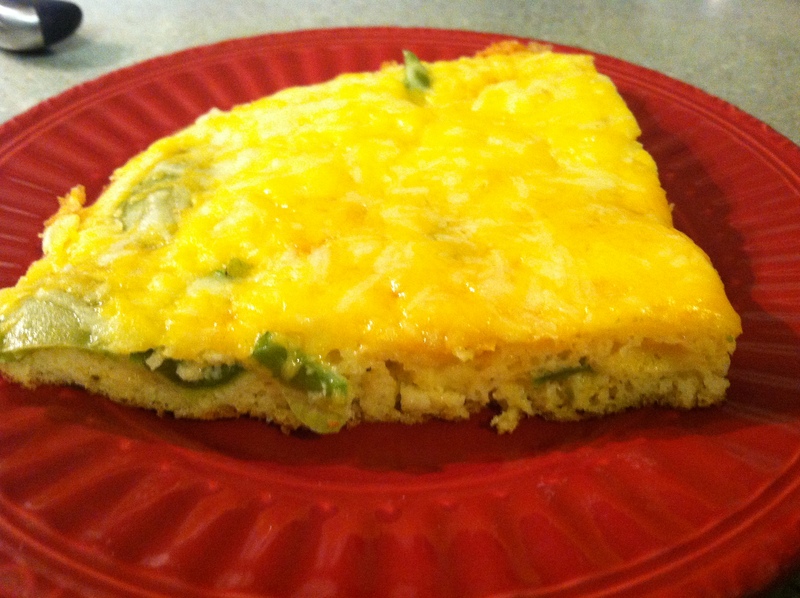 Pour egg mixture over peppers and cheese. 6) Bake uncovered, for about 15 minutes or until a knife inserted into the egg mixture comes out clean. 7) Sprinkle with the 1/2 cup cheese, and let stand about 5 minutes or until cheese melts. Oh, so pretty with the green of the jalapenos peeking through the cheese. I do have to say that you must remember that I am the “spice weenie” in our house. So I only added half of the cayenne pepper that this recipe calls for. Next time I make this I promised the family a “little” heat will be added to the mix! What’s your favorite casserole dish? My first experience with Rellenos was earlier this year in New Mexico. I couldn’t pronounce it and had no idea what it was. After a quick explanation on how to say it and what it was, I thought I’d give it a try. Wow! It was one of the best things I’ve ever tasted. I look forward to trying your recipe…once I find poblano chilis in Ontario. Best of luck on finding the chilis. Thanks for stopping by.